Bet you think I forgot about you huh?!?!?! Nahhhhh, I went to the beach to cool off, wow it’s hot out there! Fear not, I’m back and ready to show off some of our new faboosh stuff. Aren’t these plates just the cutest? Napoleon and pals come to you in 3 different sizes- platter, dinner & side plate. What a way to liven up the party and make a statement! Check em out in person, they are super lightweight melamine and dishwasher safe too. 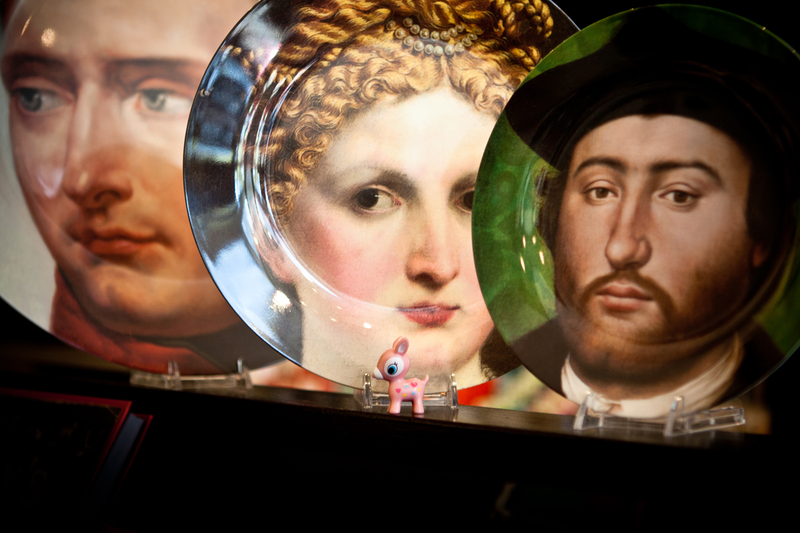 There are a handful of other faces from the National Gallery Collection to pick from so find the perfect one for you! This entry was posted in Uncategorized and tagged melamine, plates, tryxie by admin. Bookmark the permalink.